From now through December 31st, we have a ton of fantastic artisans offering handmade and eco-friendly gifts in the Mistletoe Market at Community Forklift. 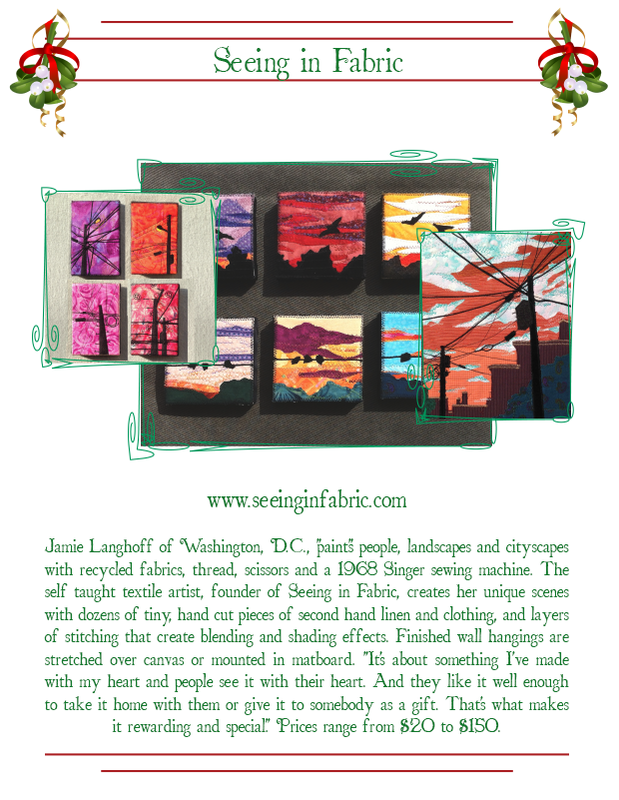 We’re delighted to report that DC-based artist Jamie Langhoff of Seeing in Fabric has returned to our gift fair this year. If you’d like more information about her unusual technique, read our newsletter article from last winter.